First World War: who was to blame? To continue Inside the First World War, a new 12-part series, Saul David questions what motivated Europe's leaders to take their countries to the edge of the abyss. In the space of exactly a month – from the assassination of Archduke Franz Ferdinand and his wife in Sarajevo on June 28, 1914, to the Austro-Hungarian declaration of war on Serbia on July 28 – Europe went from peaceful prosperity to a conflict that would bring down four empires and cost more than 15 million lives. It would also, thanks to the harshness of its peace settlement (signed at Versailles in 1919), sow the seeds for a second and even more destructive global conflict which, in turn, gave rise to the Cold War. The causes of the war in 1914 are therefore immensely significant. Was it inevitable after Sarajevo? 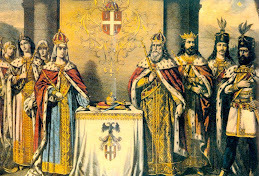 Or did Europe’s monarchs and politicians have an element of choice in their decisions? 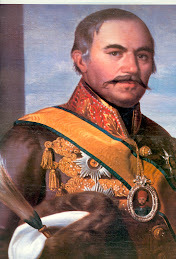 When Franz Ferdinand, his nephew and heir, was murdered, Emperor Franz Joseph I decided that military action was required to cut Serbia down to size. 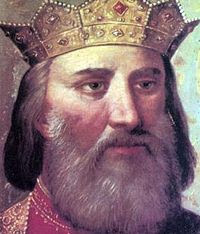 But with time lost to investigations and diplomacy, it was not until July 23 that Serbia was presented with a harsh ultimatum. Its demands included the denunciation of separatist activities, the banning of publications and organisations hostile to Austria- Hungary and co-operation with Habsburg officials in suppressing subversion and a judicial inquiry. 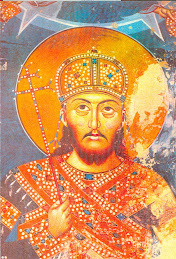 Serbia’s measured reply was to agree to almost all demands. The only caveat was that the joint Austro- Serbian judicial inquiry would have to be subject to Serbia’s law. 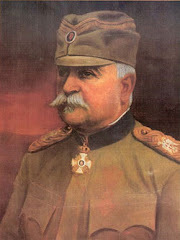 The Austrians rejected the ultimatum and, on July 28, mobilised their troops in the Balkans. Why did the 83-year-old Emperor Franz Joseph and his Vienna government take such a hard line? First, because their suspicions of Serbian complicity were at least in part justified. 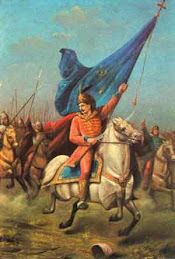 More than two-fifths of Bosnia’s population was ethnic Serb, many of whom yearned for independence and union with a Greater Serbia. Some of the secret organisations dedicated to achieving that end were based in Serbia proper, including the Black Hand, a group led by Colonel Dragutin Dimitrijevic, the Serbian military intelligence chief who had trained Gavrilo Princip and his fellow assassins. An even more powerful reason was because many in the Austrian government and military felt the time was opportune. 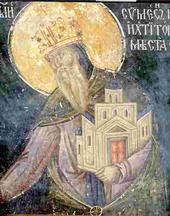 Unless Serbia’s intrigues were stopped, they felt their polyglot Empire – made up of 11 ethnic groups – was in danger of disintegration. 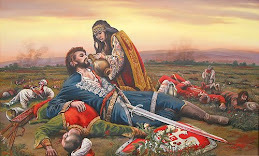 They feared a pan-Slav movement spearheaded by Serbia (and backed by Russia), and were determined, in the words of Foreign Minister Leopold von Berchtold, to “tear away with a strong hand the net in which its enemy seeks to entangle it”. 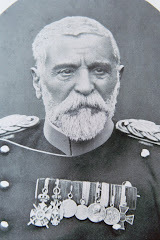 Yet Franz Joseph was only prepared to risk a war with Serbia and Russia because he knew he had the full support of his fellow monarch, Kaiser Wilhelm II of Germany. Just a week after the assassinations, the German Kaiser Wilhelm II responded to Emperor Franz Joseph’s assertion that Serbia needed to be eliminated “as a political factor”. 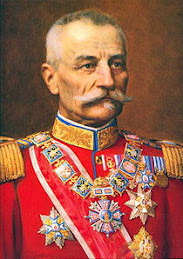 Wilhelm II assured the Austrian envoy, Count von Hoyos, that his country had Germany’s backing to “march into Serbia”, even if war with Russia resulted. A day later, the German Chancellor, Theobald von Bethmann-Hollweg, repeated this secret guarantee. But after the forced retirement in 1890 of the Iron Chancellor, Otto von Bismarck, the young Kaiser Wilhelm II became the dominant force in German politics, exerting great influence over diplomacy and in military and naval matters. 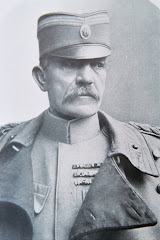 It was he who authorised the disastrous Weltpolitik (world policy) in the 1890s, ushering in a naval arms race against Britain that Germany could not win. The effect was to drive a resentful Britain into the arms of its former enemies France and Russia, completing the encirclement of the Central Powers. But Austria was its only “dependable” great-power ally. And Germany feared that a huge increase in Russian military expenditure would jeopardise its secret strategy of avoiding a war on two fronts by first defeating the French army before dealing with the less sophisticated Russians. 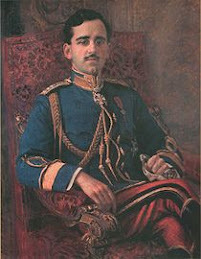 As a result, Germany’s political and military leaders became convinced that the sooner a European war began the better. The ideal outcome for the Kaiser in July 1914 was a localised Balkan war that neutered Serbia, bolstered Austria and split the Triple Entente. He also knew that if Russia intervened, a continental war was inevitable. Following Austria’s declaration of war on Serbia, the question on everyone’s lips was, how would Tsar Nicholas II react? No treaty impelled Russia to come to Serbia’s aid; nor did it have much of an economic stake in the Balkan country. But Russia did have a vital strategic interest in the region — notably the passage of its trade through the Straits of Constantinople — and it needed a strong, independent Serbia to counterbalance Austro-Hungarian forces in the event of war. 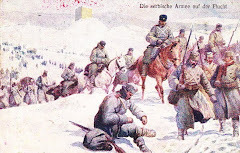 The Tsar was referring to troop mobilisation: the calling up of reservists to increase the size of the European standing army by three to four times. Yet even partial mobilisation against Austria late on July 29 produced a momentum of its own. 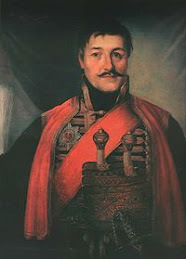 It gave Serbia an assurance that it would not fight alone; and it put pressure on Germany to mobilise. Germany’s plan to defeat France before turning on Russia depended upon the latter not getting too much of a head start. If they allowed that, they risked defeat in the east before they had victory in the west. The Kaiser’s warnings simply convinced the Tsar, his third cousin, that German and Austrian policy was one and the same. He believed that Austria had secretly mobilised against Russia (it had not) and that full mobilisation against Austria and Germany was now necessary. The relevant telegrams were dispatched from St Petersburg at 6pm on July 30. The German’s reaction on July 31 was predictable. Having ordered an intensification of its own military preparations, it sent the Russian government an ultimatum to cancel its mobilisation within 12 hours or face the consequences. Russia refused and on August 1, the same day it and Austria-Hungary began their own mobilisations, Germany declared war. At the height of the so-called “July Crisis”, the French President, Raymond Poincaré, set off by warship for a planned state visit to his chief ally, Russia. With him went his inexperienced Prime Minister, René Viviani, just four weeks into the job. For eight of the next 11 days, the two heads of the French government would be effectively incommunicado as crucial decisions were being taken in Vienna, Berlin and St Petersburg that would propel Europe towards war. Could their presence in Paris have made a difference? 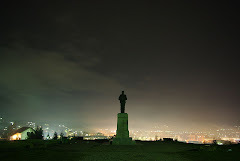 Probably not, because Poincaré – who took the lead in foreign affairs – had made it clear to the Tsar that France would back Russia’s support of Serbia, even at the risk of war with Germany. The post-summit joint communiqué was explicit, saying the two governments were “in entire agreement in their views on the various problems which concern for peace and the balance of power in Europe has laid before the powers, especially in the Balkans”. This crucial backing by Poincaré was what gave the Russians the confidence to stand firm behind Serbia. When this, in turn, resulted in a Russo-German war, there was no possibility that France would stand aloof (as Germany had requested on July 31). Why? Because Poincaré was convinced that if France wanted to remain a great power, the preservation of the Triple Entente (with Russia and Britain) “was a more important objective in French foreign policy than the avoidance of war”. Not least because he feared that the loss of Russia as an ally would make France extremely vulnerable to German aggression. France duly rejected Germany’s ultimatum and began its own mobilisation – though the army was ordered to keep 10km back from the Franco-Belgian border. Germany declared war on France on August 3. Sir Edward Grey, the British Foreign Secretary, has traditionally been portrayed as a peacemaker. On July 29, he told the German Ambassador Prince Lichnowsky that “mediation was an urgent necessity if those concerned did not wish to have things become a European catastrophe”. Yet the message was mixed. On the one hand, he warned Lichnowsky that Britain might be forced to take precipitate action if Germany and France were drawn into the war; on the other, he said Britain had no legal obligations to its Entente partners. Encouraged by a noncommittal Grey, the Kaiser’s government made a clumsy attempt to ensure Britain’s neutrality by offering to guarantee both France’s and Belgium’s territorial integrity in Europe – but not the former’s colonies nor the latter’s neutrality. This Grey would not countenance. His counter offer, made without any authorisation from the Cabinet, was not just for Britain to stay neutral if Germany refrained from attacking France, but to vouch for French neutrality as well. In truth, the French would never have agreed to stand aside while Germany and Austria attacked its ally Russia, a position made very clear to Grey on August 1 by the British Ambassador in Paris, Sir Francis Bertie. Brought to his senses, Grey withdrew the offer and, from this point on, Germany’s leaders must have known that Britain would not stand aloof from a European war. Any final doubts were dispelled on August 3 when Grey told the House of Commons that the Belgian government had just been given an ultimatum by Germany to “facilitate the passage of German troops” through its territory or face the consequences. For Grey and the government, the only course available was to resist German aggression. In the event, Britain declared war on Germany at 11pm on August 4, ostensibly because of Germany’s violation of Belgian neutrality. The pretext was a useful one for a Cabinet that, until August 2, had been divided over the need to get involved. A far more pressing reason to fight was to prevent Germany from dominating the continent and winning control of the Channel ports. The Cabinet also feared for the security of Britain’s Empire and trade if, having failed to support France and Russia, its only option would have been an alliance with Germany. So, who was to blame? 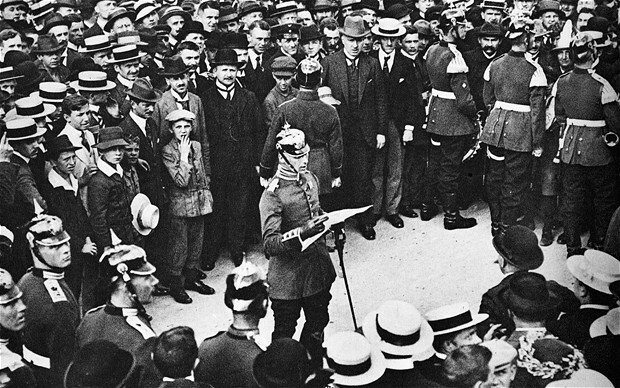 Historians tend to blame the Kaiser and his chief military advisers. More recently, the spotlight has shifted towards the Austro-Hungarians, the Russians and, to a lesser extent, the Serbians. A modern theory is that the governments of all the main powers preferred war to diplomatic defeat that month, and it is hard to point the finger at any single participant. This is going too far. None of the major powers worked as hard as it could have done to prevent war, but the decision taken by Austria-Hungary, backed by Germany, to emasculate Serbia was the moment a general conflict became probable if not inevitable. It was taken in the firm belief that if the Entente powers chose to fight, they would be defeated; and if they did not, the Entente would collapse. The Central Powers could not lose. Or so they thought.